1.1 Apart from the occasional increases in some parts of the Mekong sub-region (Figure 1), hotspot activities in the ASEAN region remained generally subdued. 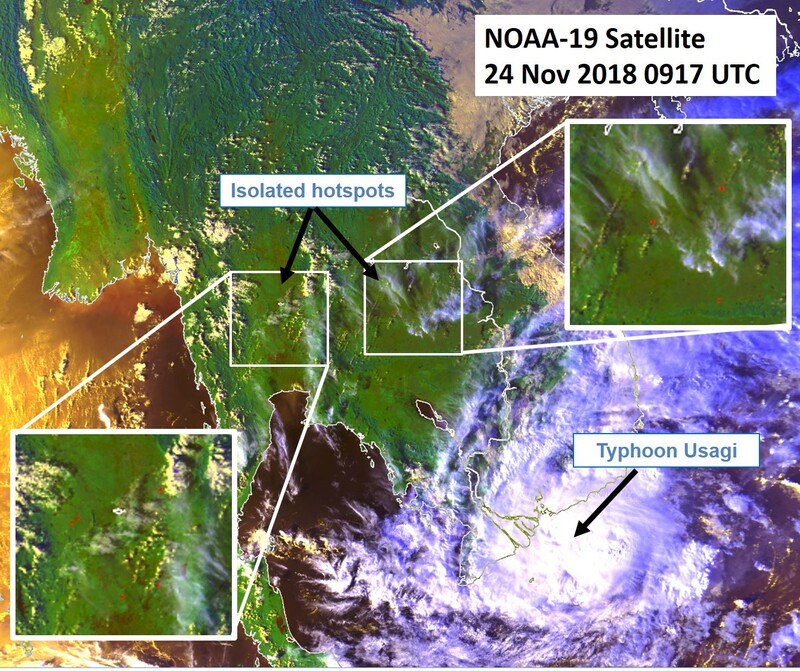 Figures 1: NOAA-19 satellite image on 24 Nov 2018 shows isolated hotspots detected in parts of central Thailand. Typhoon Usagi was also observed in South China Sea, to the east of southern Viet Nam.